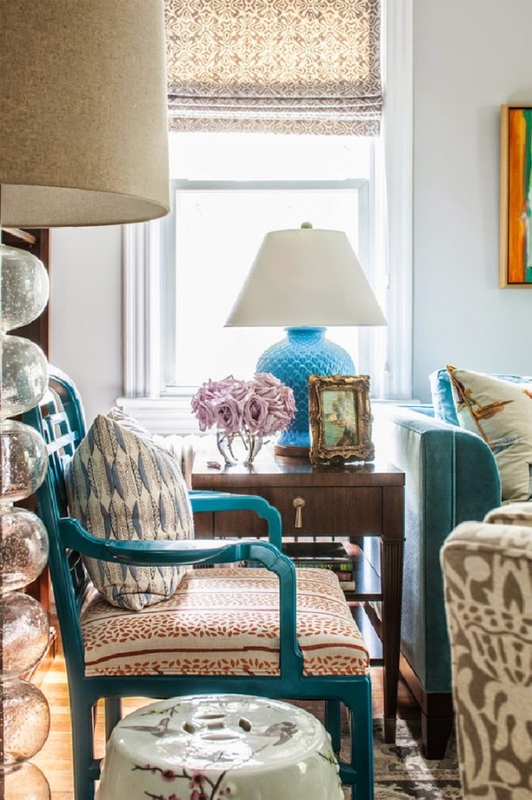 A vibrant, bustling conversation between color, texture and motif creates cozy, inviting conversations in these gorgeous spatial renderings by interior designer Susan Nelson. Based in Alexandria, Virginia, Nelson takes a personal approach to decking up the space, turning to fine finishes and exquisite touches to bring a highly individualistic chic to the design. 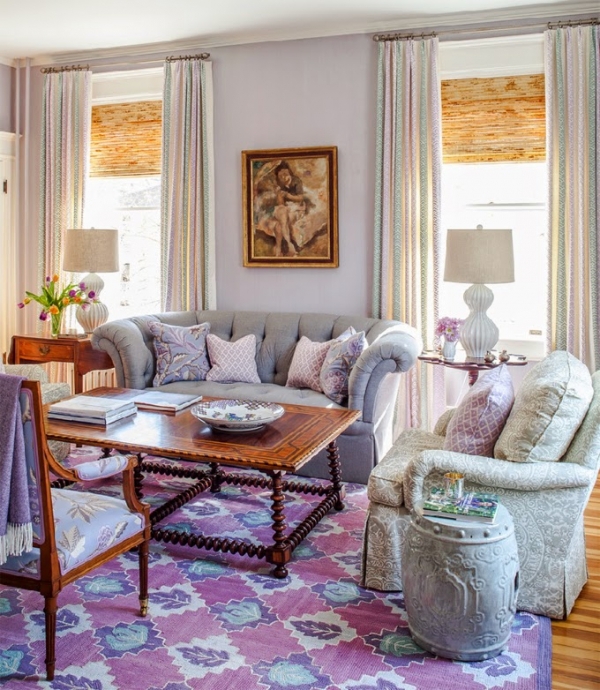 The sharp and upbeat flavors of this sweet pastel spring décor exude a regal elegance that is delicate yet utterly self-assured. 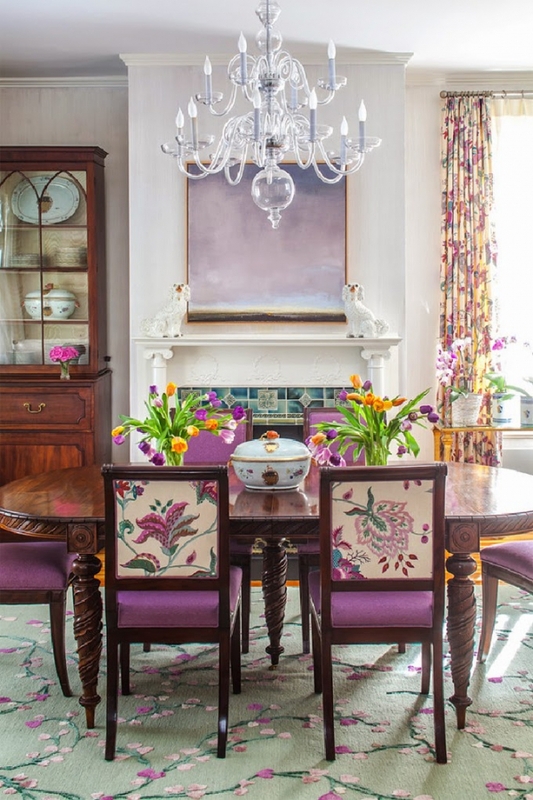 Exuding a vintage charm, the floral and nature inspired theme here finds expression through both form and finish. Purples and blues dance through the space – across furnishing, fabric and surfaces- bringing an unmistakably feminine touch to this pastel spring décor. Unlike conventional designs, these spaces strike a pose without getting too regimental or predictable. 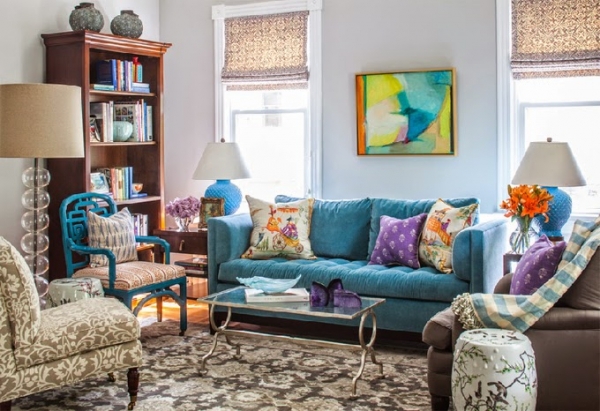 Instead, the interiors here transform the homely into a supple palette of colorful living room ideas, grounded and defined by a sharp and carefully introduced accents and colors. The motifs and patterns therefore flow into each other in a sea of gentle pastels, evoking a laid back vibe in parts and drawing attention and ideas in others. 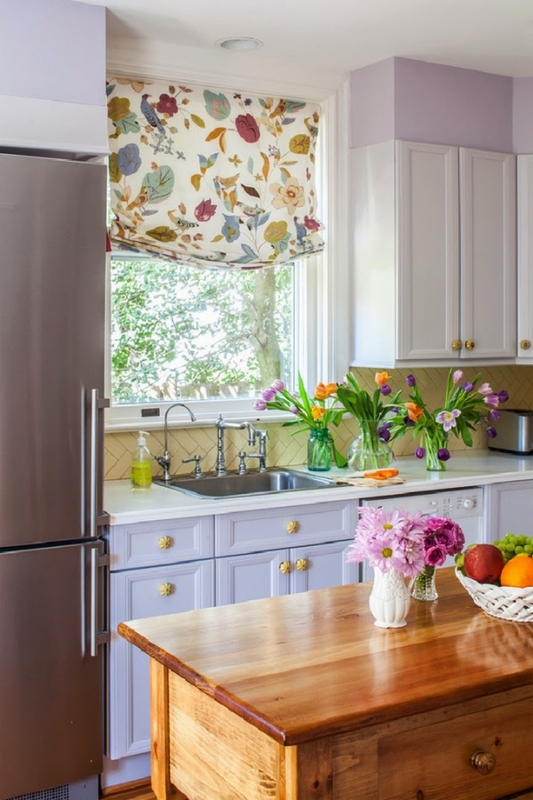 A dash of fresh cut flowers perfectly cap an already glorious design affair, immaculately complementing the organic warmth that pervades this scheme.